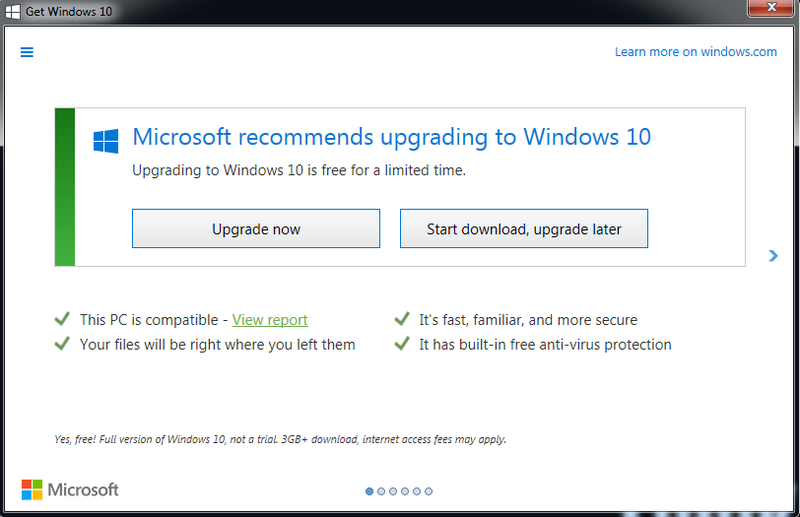 You can only upgrade to Windows 10 for free from an existing desktop. you cannot do a fresh install. You can only upgrade for free from Windows 7, Windows 8 and Windows 8.1 There is no free upgrade from Windows XP or Windows Vista. The free Upgrade is only available until July 29th, 2016. 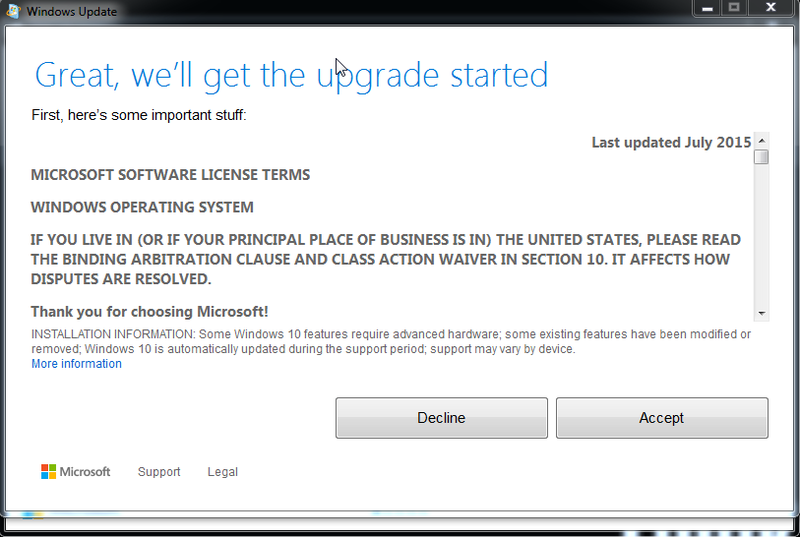 How do you get the Windows 10 upgrade installation media? note: if you haven’t got the Windows 10 upgrade invitation on your computer yet, please check for updates, and make sure all updates are installed. From here you can either upgrade the computer now or start the download process and upgrade later. Make sure everything is checked green before upgrading. One thing I should have told you at the beginning was that you can also download Windows 1 from the Microsoft website, and initiate the installation from either the USB bootable drive or a DVD you create. Like I said, depending on your Internet connection, that can take awhile. 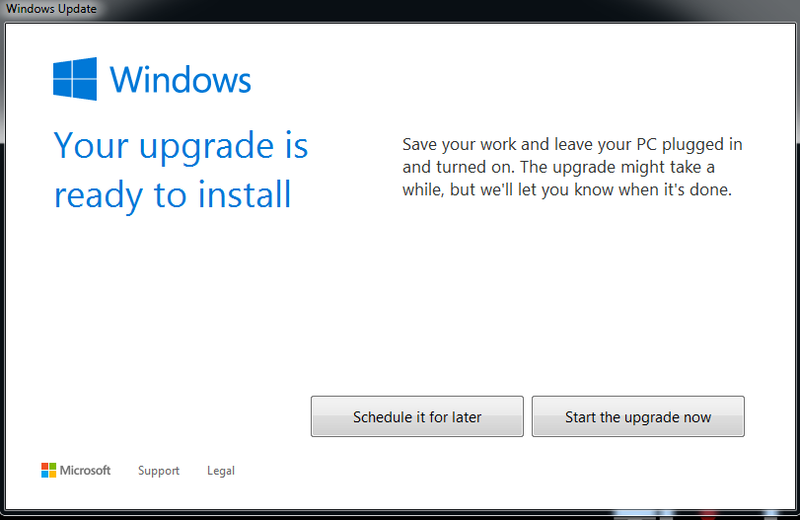 Then on the next window, you can either schedule the upgrade, or start the upgrade now. 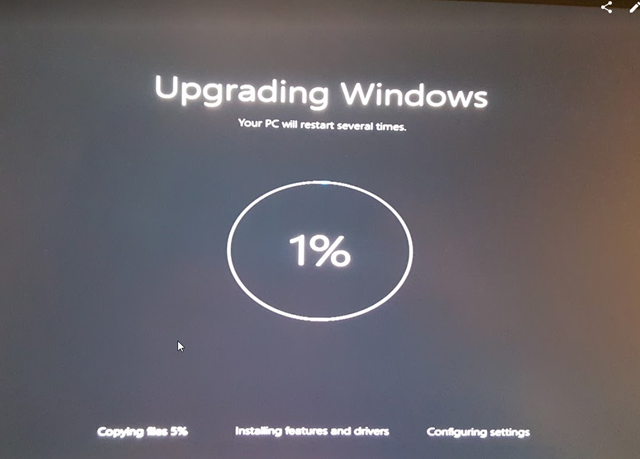 click on the “Start the upgrade now” button if you want to upgrade the computer right away. Your computer will immediately reboot. 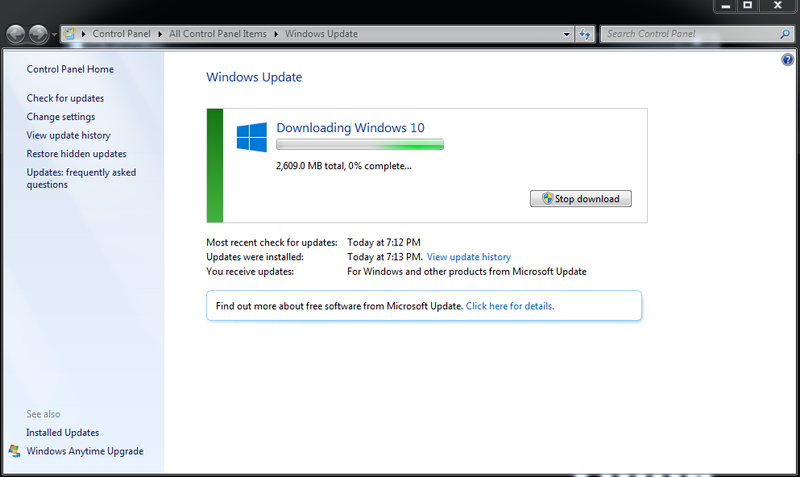 the entire upgrade will take about 30 minutes. 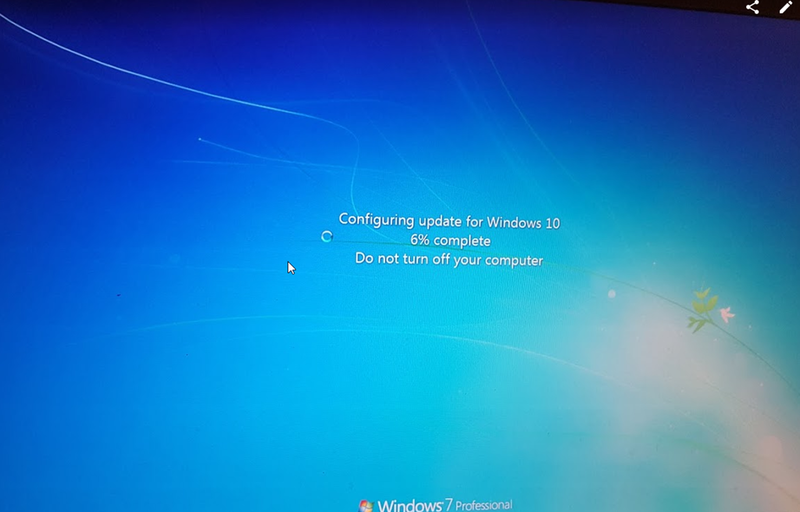 depending on how fast your computer is. once you computer has been upgraded, you will get the Windows 10 login screen. here is my Windows 10 desktop recently upgraded from Windows 7. not many changes happened. all the applications and files I had are in the same place there were before the upgrade. You probably will notice a lot of hard drive space taken on your computer now. that’s because the Windows 7 installation is still in your computer, and you have the option to go back to Windows 7 if you want to. 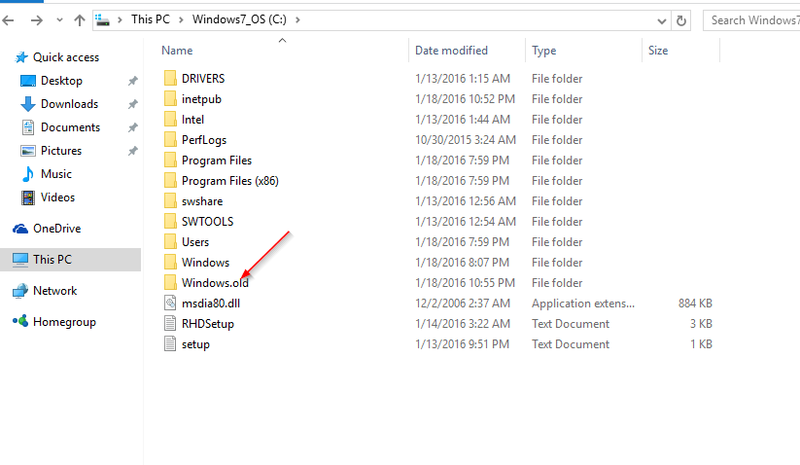 the Windows 7 files, and configuration are in a folder called “Windows.old” under your C drive. 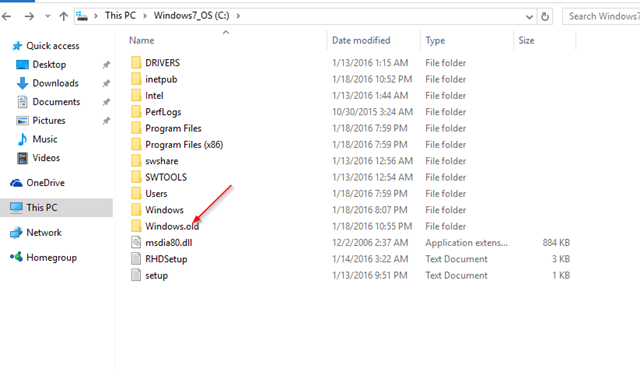 Delete it now if you are not planning to go back to Windows 7, or it will delete itself after 30 days of you running Windows 10.
please share your experience with Windows 10 in the comments below.